We’re in the heart of CSA season, which makes Tuesday the best day of the week. 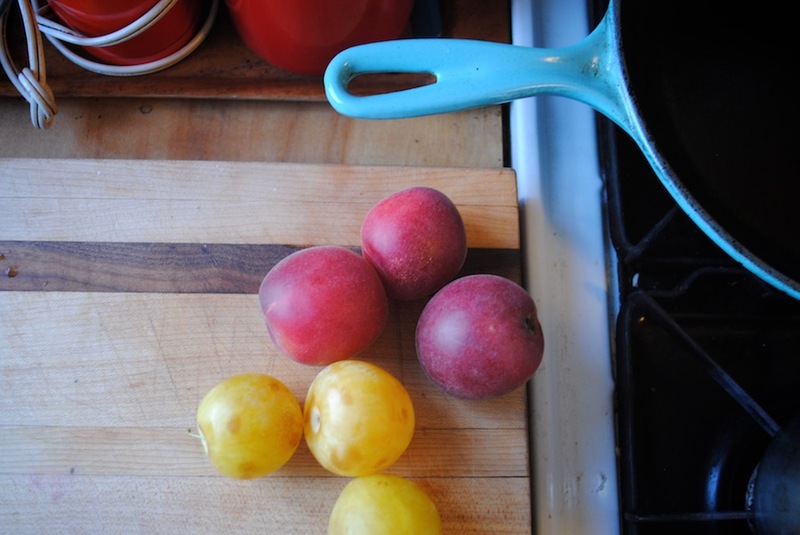 Switching from grocery to CSA has been given me the opportunity to embark on personal cooking challenges (escarole, donut peach, purslane), while still keeping the fridge flush with staples (greens and eggs). Going out of town for a week and coming home to your untouched CSA is a different kind of challenge, and opening the fridge to two-dozen eggs in an empty house will give any sane person egg salad nightmares. 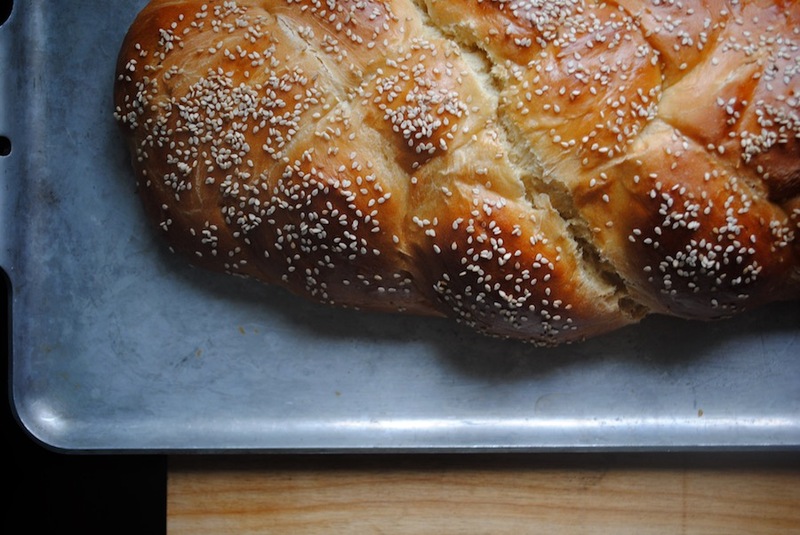 Luckily, Peter Reinhardt’s challah recipe calls for not four, not five, but TEN EGG YOLKS. It’s basically an omelet dusted with sesame seeds. The inside is sweetly golden and dense, and makes excellent toast. Anyone who regularly makes bread, mayonnaise, or lemon curd (let’s be friends) knows the dilemma of egg whites, when an egg white omelet won’t do. It never does. Enter the financier. It’s like a snootier madeleine—named for its popularity in the financial district of Paris surrounding the French stock exchange, where it’s often seen baked in rectangular molds that resemble a bar of gold. 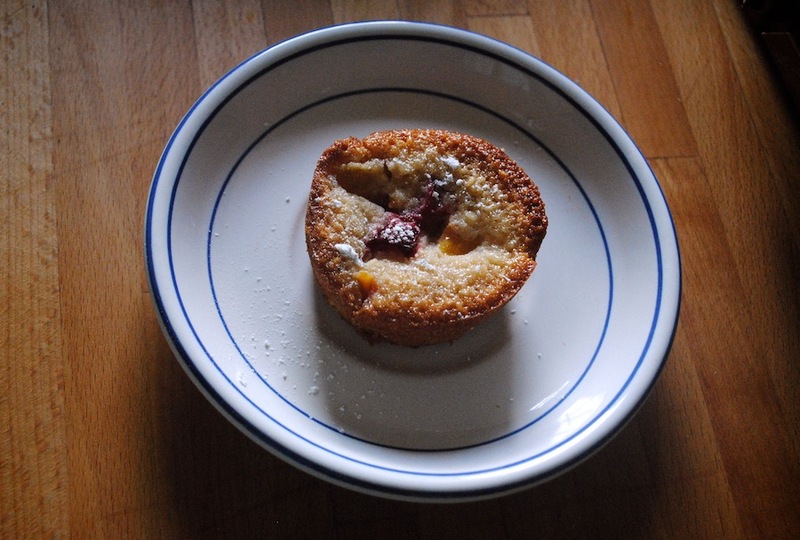 Financiers, I learned, are not casual eating. They comprise of unseen amounts of beurre noisette (browned butter), almond flour, powdered sugar, and egg whites. They are delicate, and must be baked in small enough molds to hold their shape. Their height begins to collapse a few hours after baking, so they don’t keep long (not that they need to). And like actual financiers, they are rich motherf*ckers. But these cakes are also the most sophisticated, most delicious thing you could make with leftover egg whites I can think of. 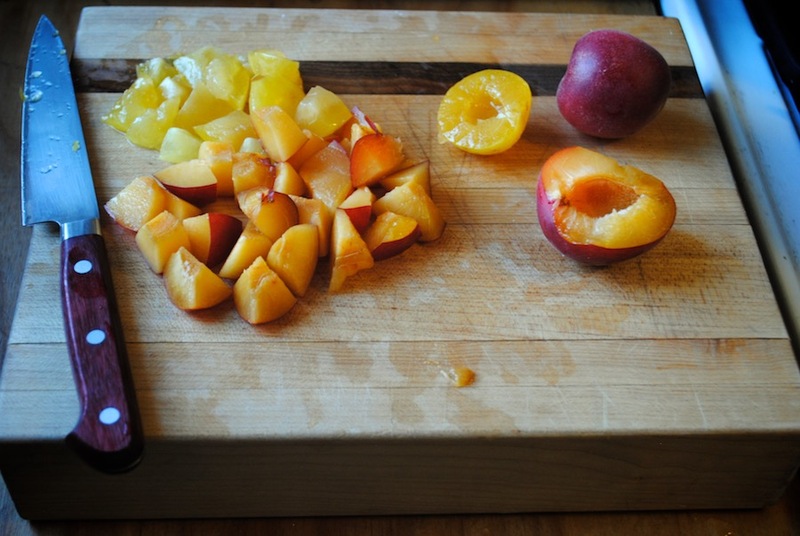 I used up my piling fruit CSA in the process, dotting each muffin tin with small chunks of nectarines and plums. *Note: I found the original recipe heavy on the butter and made for very soft cakes, and adjusted here to go a little lighter (which is still plenty of butter). 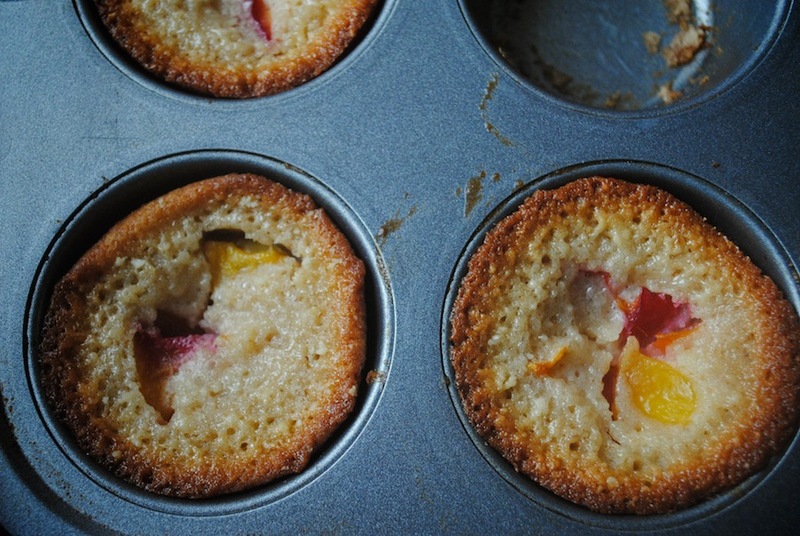 Alternatively, baking in small muffin tins or madeleine molds would help firm up the cakes. 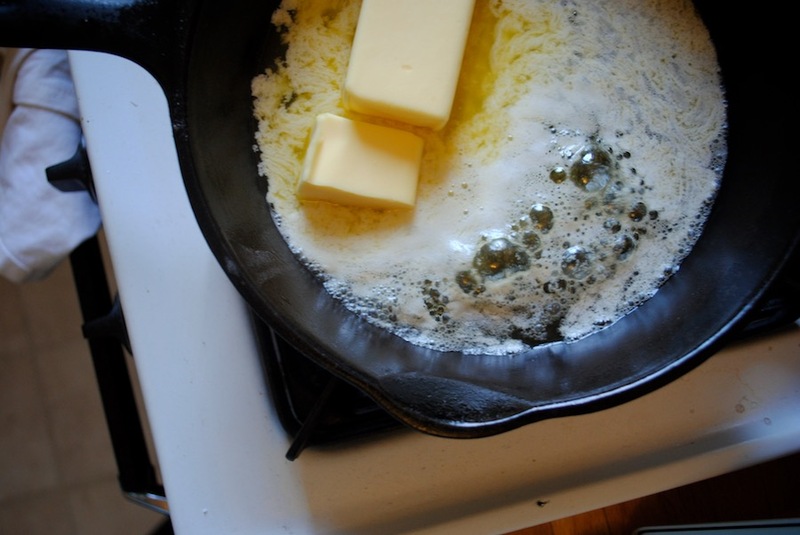 Melt butter in a medium saucepan over medium heat, and simmer until it browns and begins to bubble. Reduce heart and continue stirring, frequently, scraping brown bits from the bottom of the pan as they form. The browned butter should smell nutty and fragrant and not burnt. As soon as the smell hits you and the liquid is golden (about 6-7 minutes), turn off heat. Let cool. While butter is cooling, process almonds (if using whole) in food processor so they resemble a finely ground meal. Transfer almond meal into a medium bowl, whisk in powdered sugar and egg whites until smooth. 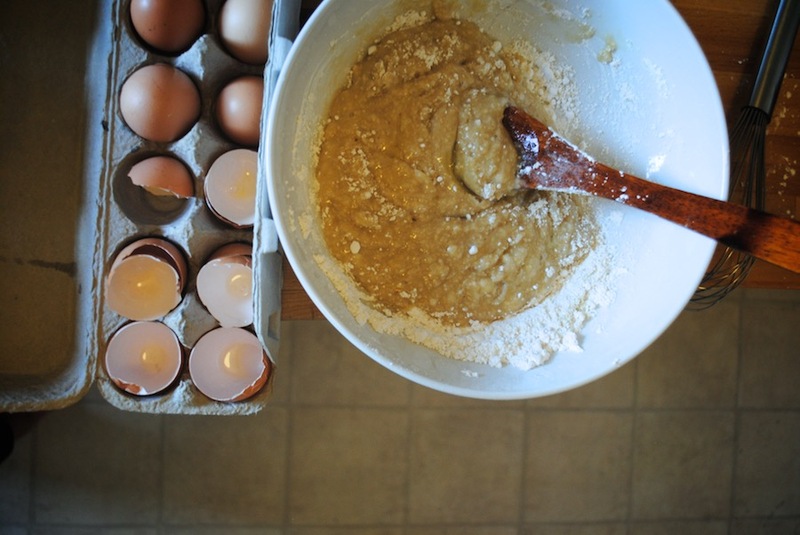 Fold cooled browned butter into the batter (this can be made a few days ahead and chilled). Preheat oven to 375 degrees, coat muffin or cake tins with butter. 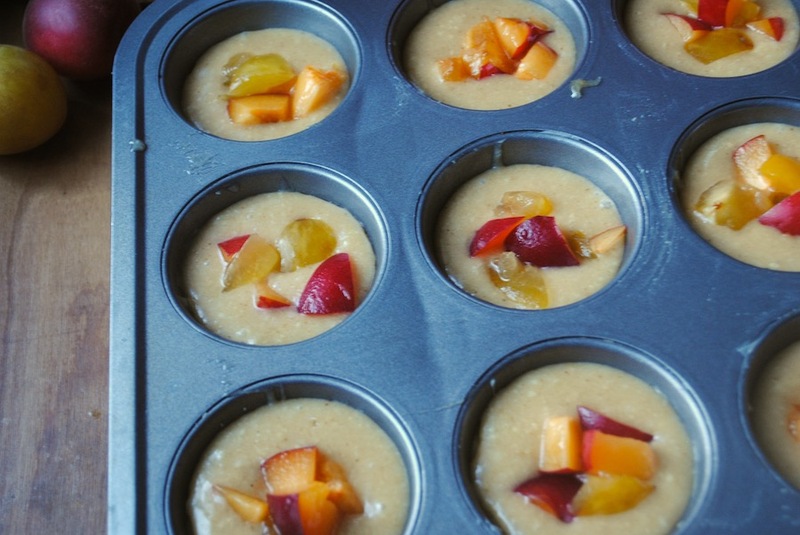 Pour about 1.5 T of batter in each muffin tin–for regular sized tins, this will be a little more than halfway (more than this, and they will come out mushy), and top with diced fruit. Bake until the cakes are golden and brown and the edges begin to curl in, about 15 minutes (shorter if using smaller muffin tins). Let cool in pan for 10 minutes, and loosen edges with a butter knife before removing.